Kaylee Logan learned how to keep busy at a young age. She was playing roller hockey at age three and got involved with 4-H at age ten. That led to joining FFA as a teenager, and her passion for helping others and serving her community has only continued to grow. “I was definitely a busy high schooler,” Kaylee proudly remarks. Growing up in a family of skaters, Kaylee’s first passion was roller hockey. She became a member of Team USA at the age of 14 and has traveled all over the world for competitions, including to France, Chile and China. Kaylee will compete at the 2019 Roller Games in Barcelona. It didn’t take long for her to realize she could apply the fulfillment she’d gained from roller hockey towards helping others. While hockey certainly keeps Kaylee busy, her dedication to serving others also grew through involvement in 4-H. She is a member of the Kolts and Kitties club, showing her horses, pigs and her cat. “4-H has had such an amazing impact on me and was really the beginning of me dedicating myself to serving others,” Kaylee says. One of Kaylee’s first community service projects with 4-H was volunteering at the Special Olympics, setting up a petting zoo for the competing athletes. “When they would walk through the petting zoo I could just see their faces light up,” she says. Over the past three years, Kaylee has served as a 4-H Junior Leader, helping younger members with projects and teaching them about the animals they show, while also emphasizing the safety and care of the animals in order to ensure their wellbeing. Kaylee joined another volunteer service organization, FFA, while in middle school. “As soon as I became a member, I dove head first into any and every project I could.” It didn’t take long for Kaylee to find herself in a leadership role as President of the Greenhand team, where she helped organize community service activities such as Letters to Soldiers and Stream Restoration projects. Throughout high school, her involvement with FFA resulted in numerous leadership roles, including playing an integral role in planting, caring for, harvesting, distributing and donating over 12,000 pounds of fresh, healthy produce to the community. 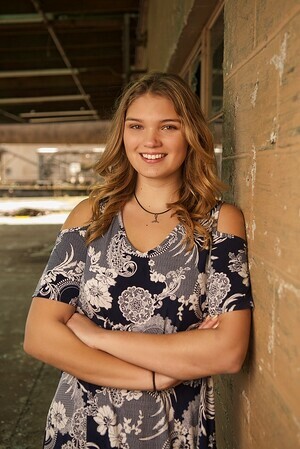 She’s also been involved in numerous other FFA community service activities, such as Christmas in the Park, Adopt a Family, Thurston County Fair Educational Booths, Schornow’s Levy and Bond Auction, and the Yelm Dollars for Scholars Auction. “My family is so important to me. They are my biggest supporters. I truly believe it is their support of me that inspires me to go out and better the lives of others,” she said. Scholarship America is proud to honor Kaylee as our 2018 Dollars for Scholars National Student Volunteer of the Year in recognition of her many volunteer efforts. She is now a freshman at Washington State University, pursuing a degree in chemical engineering.